A wonderful enamel plaque by Madeline Caroline Frances Eden Campbell [also known as Mrs. Percy Wyndham; and as Madeline Wyndham] She was born in c.1841 and was taught enameling by Alexander Fisher (1864-1936). She was active in the field in the 1890s and early 1900s. 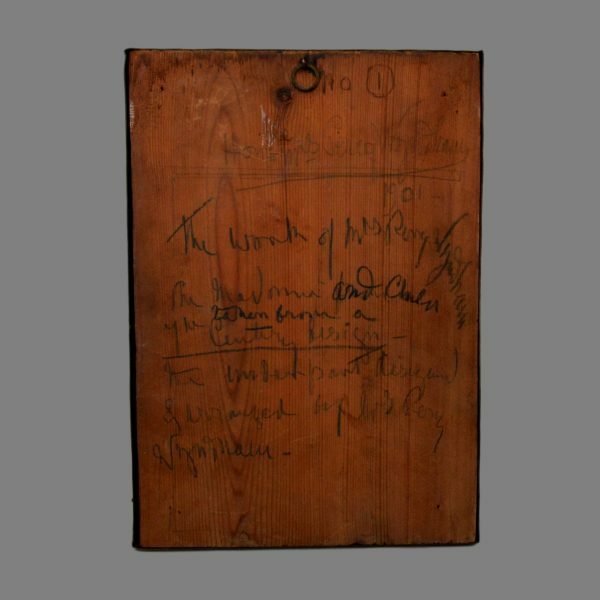 This plaque appears in the Studio Vol 28, April 1903, page 169 -see images. 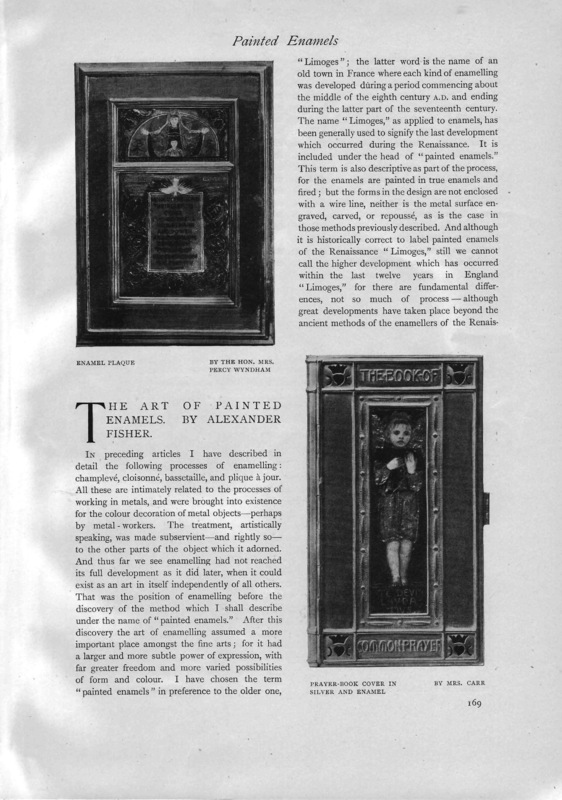 It forms part of a highly influential article “The art of painted enamels” by Alexander Fisher. 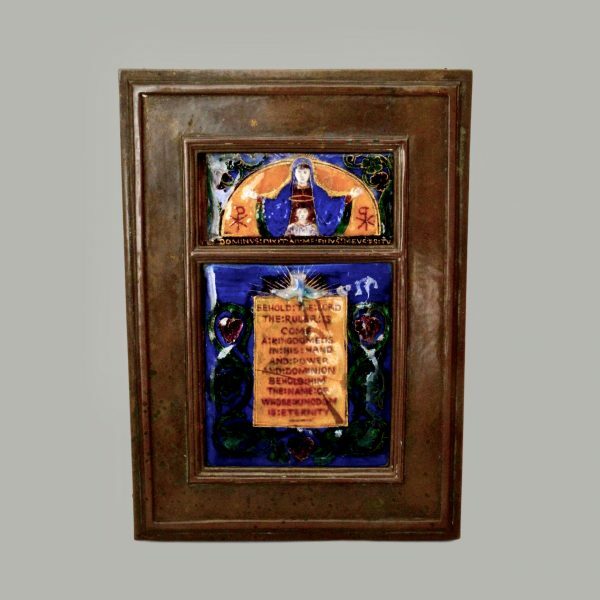 Size: Plaque: 17.5cm high, 10.5m wide (both plaques).